Eve Gray, a researcher at the IP Unit, has contributed to the writing of the book Open Knowledge Institutions. A group of researchers met earlier this year and a first draft of the book was published within a week – a remarkable feat to say the least. Digital ubiquity has disrupted the traditional university model. The internet has shifted the balance of a tension between control and disorder in knowledge production, with many of the opportunities the web brings leading directly to many of the challenges we now need to address. Lucy Montgomery and Cameron Neylon advocate for the idea of universities as Open Knowledge Institutions, which would support and provide spaces for the world’s creative diversity to contribute to a common stock of global knowledge. This means reinventing some of our ideas about what university is, or should be, while also recognising that this change has to be an evolution, not a revolution. What does it actually mean for a university to be “open”? In Europe the release of “Plan S” to deliver 100% open access by 2020 has garnered the expected bouquets (and brickbats) from the expected players. 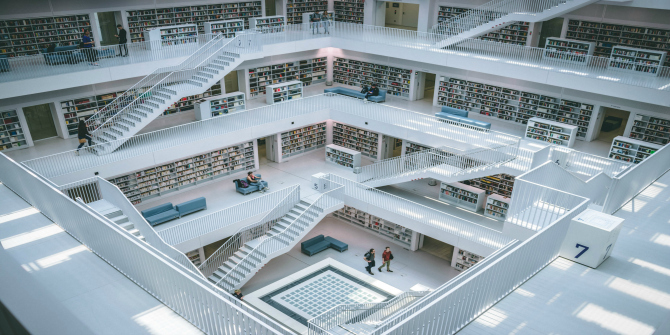 MIT Library has released a report surveying the wider policy landscape and laying out some of the context and expectations it has of itself in developing open access. In Latin America, SciElO is celebrating 20 years of delivering open access on a large scale. But many universities are also beset by ongoing crises. Their apparent inability to deal proactively with sexual harassment and histories of racial exclusion and colonialism; the sense that the political class, if not yet the whole of the public, is “sick of experts” and uninterested in rigorous and informed consideration and debate of issues; or simply the fear that the role of universities will be usurped by technology giants. Digital ubiquity has disrupted the traditional university model. Universities are still defined by a community of scholarship which creates and conveys knowledge. But in that transaction of discovery and learning, digital access and the rise of tremendous repositories of knowledge online have forced us to change the way we think about universities. Online learning, globalisation, increased affordability of travel and digital access have also meant that the community of scholarship must be redefined – if it can be tightly described at all. Complex international issues are frequently resolved only through a coalition of international expertise and collaboration. At the same time, changing business models and nationalist self-interest ensure many universities still keep current and future intellectual property in a closely guarded enclave. planning and strategy around the globe. On the one hand, universities are making more of their research more available than ever before. They are working towards greater involvement of wider communities in their activities than in the past and delivering more for national economies and society than ever before. On the other, we are suffering this internal crisis of confidence in what our purpose is. In a globalised, networked world, what is the unique value that a university can bring? Image credit: Gabriel Sollmann, via Unsplash (licensed under a CC0 1.0 license). In April 2018 a group of us came together with the shared conviction that tackling these issues requires us to see how they are linked, and that the best way to see both the opportunities and challenges was to rethink and expand what we mean by “open”. Over five days, supported by facilitation from Book Sprints, we went from the nebulous idea that a university in the 21st century needs to be “an open knowledge institution” to the first draft of a book fleshing out that idea. What we identified was links between ideas of open science and open scholarship, diversity (of people, ideas and topics), and the coordination required to work effectively together. In the book we argue that this is a “wicked problem”, one in which all parts need to be considered together to make progress, and one for which we cannot simply design the right solution but must find our way iteratively towards it. How many open access policies talk about diversity and inclusion issues? How many diversity and inclusion policies talk about open access to research? But how can open access to research deliver on its promise of value to wider communities of users if voices and language that are meaningful to those users are not involved in the conduct and communication of that research? Over five days and some 30,000 words we explored these issues. The process was “open” in the sense that we weren’t sure exactly where we were headed, but it was also closed in the sense that it only involved the 13 of us in the room. So we are now excited to release Open Knowledge Institutions to the wider world on the MIT Press PubPub platform and invite your comment and criticism. In developing the book over five days we needed a way of understanding the change we were advocating for. The idea of an “Open Knowledge Institution” developed as a way of organising our ideas. This is not merely a way of advocating for everything to be open all the time, but a way of understanding the tensions between “open” and “closed”. The book charts how the internet has shifted the balance of a tension between control and disorder in knowledge production and how the opportunities the web brings lead directly to many of the challenges we need to address. To address these challenges, we advocate for this idea of universities as Open Knowledge Institutions. These are institutions in the very broad sense, that support and provide spaces for the world’s creative diversity to contribute to a common stock of global knowledge. This means reinventing some of our ideas about what university is, or should be, while also recognising that this change has to be an evolution, not a revolution. The need to adapt to the disruptive force of a digital world has occupied the attention universities for a decade. We hope this new perspective will prove a further catalyst for consideration. Lucy Montgomery is Director of the Centre for Culture and Technology at Curtin University, Australia. She is also Director of Research for Knowledge Unlatched Research: a close-knit team of researchers and publishing industry practitioners working together to help realise the possibilities of digital technology and open access for specialist scholarly books and the communities that care about them. Her ORCID iD is: 0000-0001-6551-8140.
access, and now focuses on studying the changing cultures and institutions of the academy. His ORCID iD is: 0000-0002-0068-716X.